Michael Paul Stavrou (Stav) was born with a passion for sound. As a 3 year old, he requested a tape-recorder for Christmas. Much to his disappointment, he didn’t get one, but by the age of 10, Stav was recording everything in sight, creating radio style plays and so forth. By the time he was a teenager, Stav was a radio announcer and disc jockey for radio station WYCS at Yorktown High School. He was the only member of the station who did not attend Yorktown High that was invited to have his own air show on WYCS while he attending another school, Denbigh High. He was well on his way to realising his dream of a career in radio. By the time he was 22 years old, he had worked at radio stations WYCS, WCWM, WJRB, WRVA and WRVQ as well as television station WWBT. But there were never enough knobs and so landed his first recording studio job at Virginia’s first multi-track studio – Eastern Recording Studios. Getting jobs there was easy as no one locally could match his obsession. When Stav became Production Director of WJRB, the station began receiving requests from its audience to hear his commercials again! 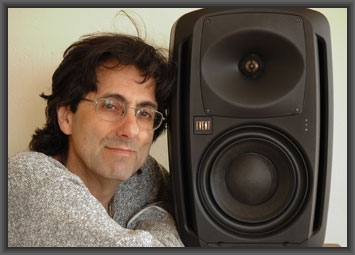 On realising that recording music was the new goal, and knowing how immense the task, the search began for the one studio in the world that could supply the greatest wealth of experience. Radio had taught him the magic of hit records, and so the next step must be to find the one studio that had the highest concentration of “hit-record-makers” flowing through it per month than any other single studio in the world. Air Studios, London – The Gig of the Decade! 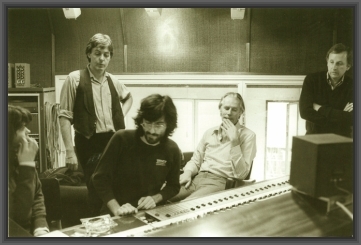 The search concluded with the discovery of Air Studios in London. One year there would be equivalent to working 10 years anywhere else. The next 3 years were spent trying to work there and on Wednesday, August the 24th, 1974, AIR offered to try him out for 2 weeks. The next ten years would be “The Gig of the Decade” learning & recording with the cream of England’s finest. The variety and standard of recording projects is difficult to convey. Every conceivable recording situation, style of music, instrumentation & acoustical limitation, including a variety of artists’ moods & expectations was completed there, successfully, and with style. 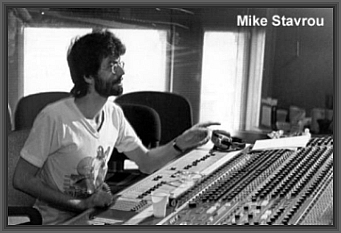 In 1980, after being a senior engineer at AIR for now 7 years, Stav was invited to work on the new Paul McCartney LP that was being recorded at AIR Studios in Montserrat. From there he was made Studio Manager and later Chief Engineer. In the meantime, Air Studios in London moved from Oxford Street to a new location in Belsize Park and on his return to London, Stav decided that having worked with all the “famous names” he’d ever dreamed of, the idea was now to work with undiscovered – up and coming artists as well as known and established acts looking for that edge and put some of this rare and valuable experience back into the system. traffic ‘copter & remote announcer audio signals simultaneously.